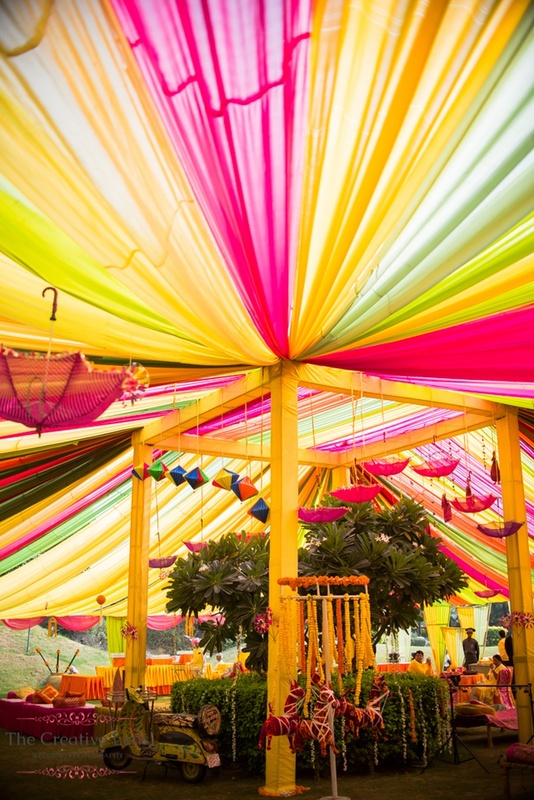 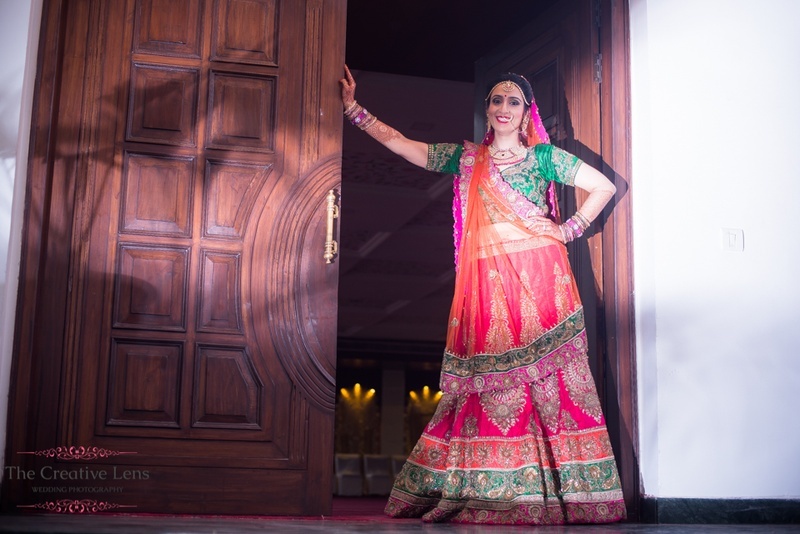 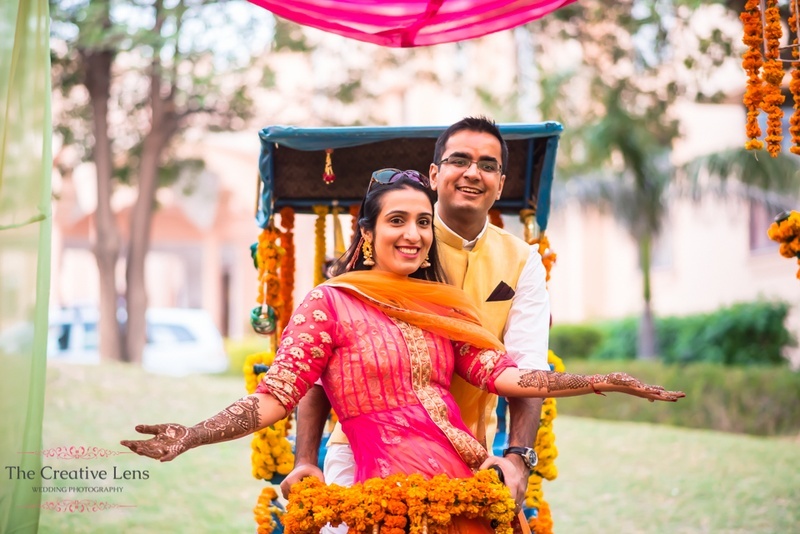 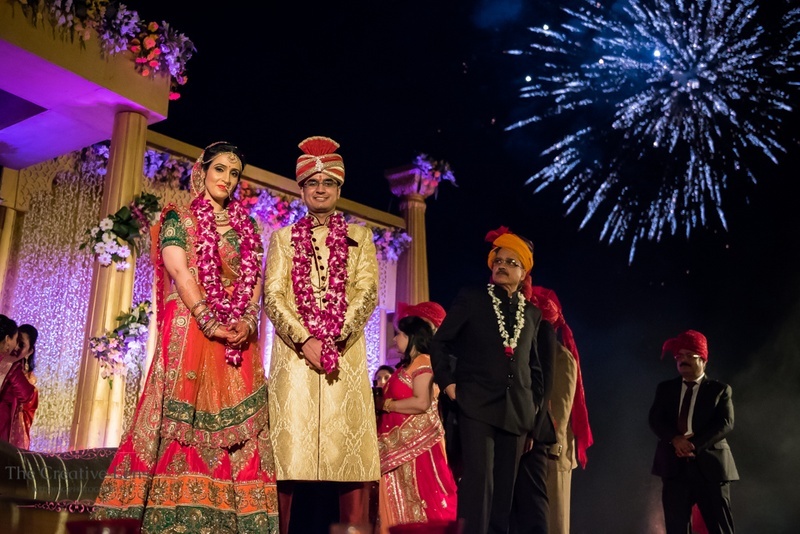 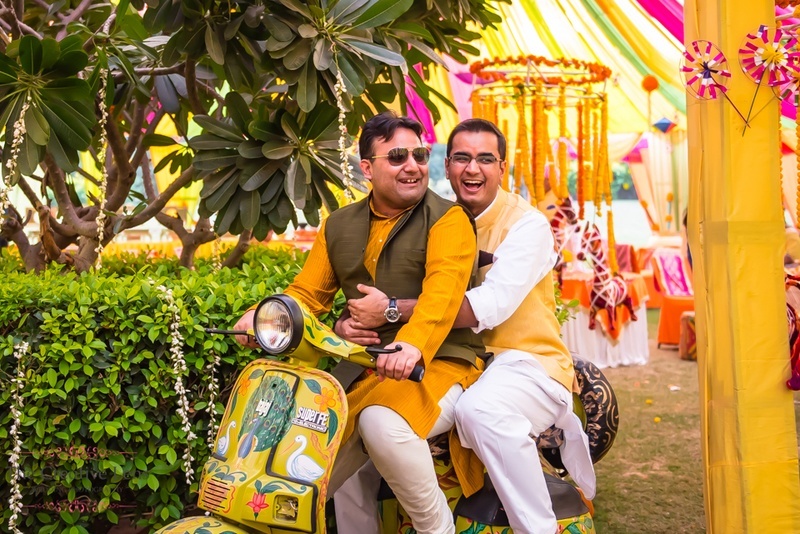 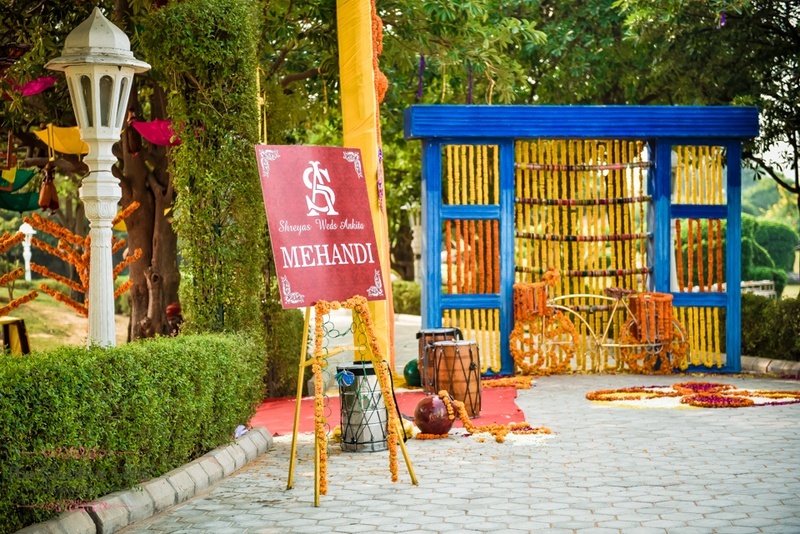 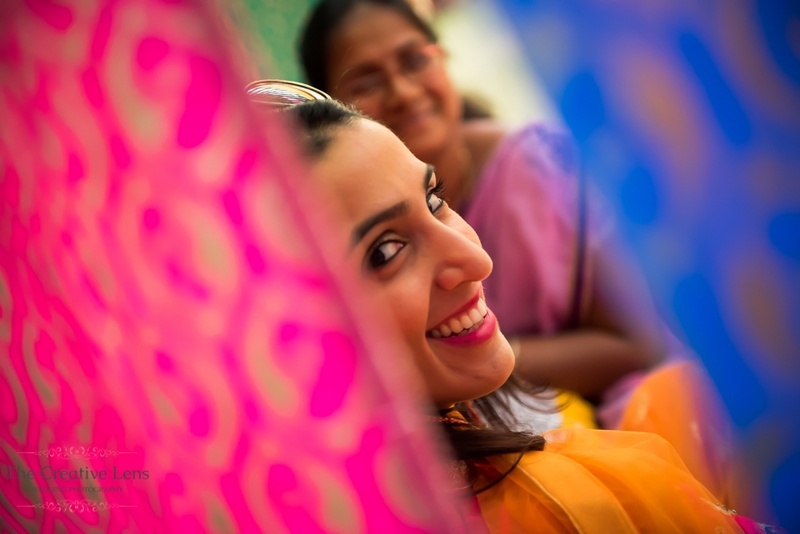 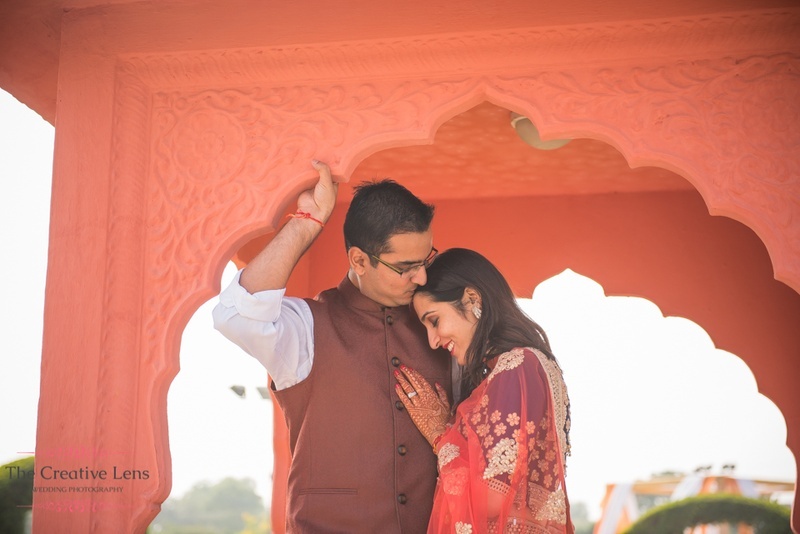 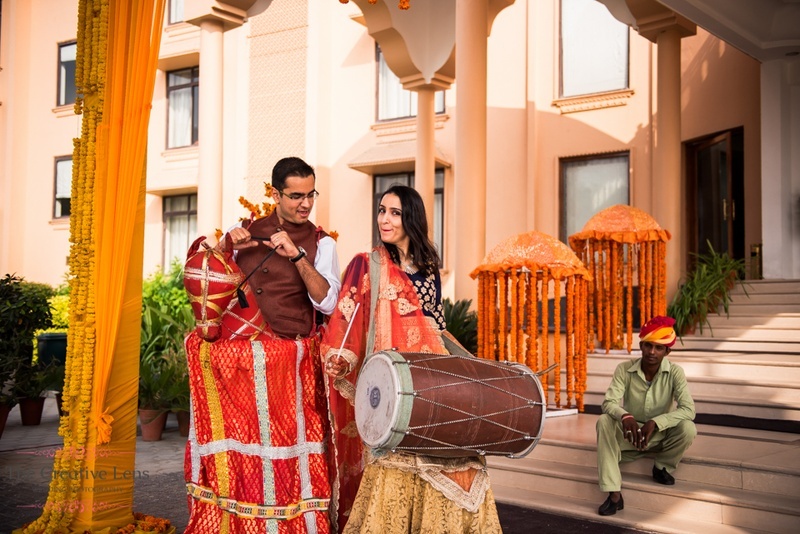 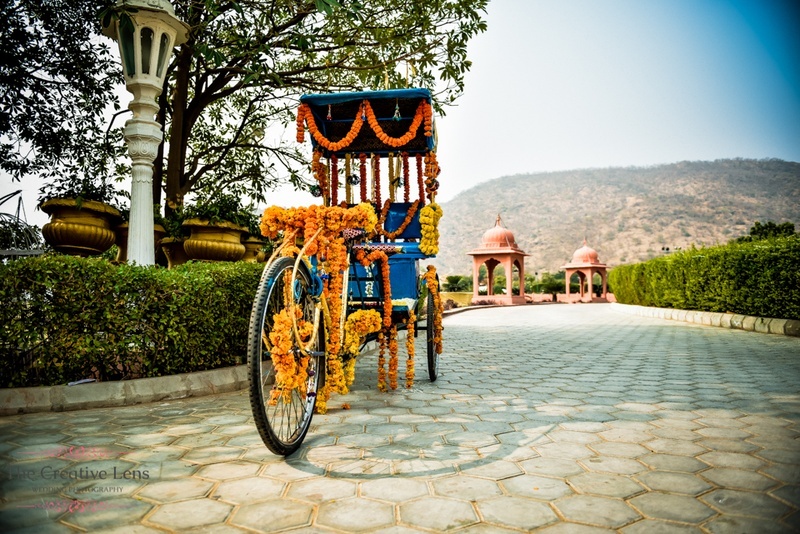 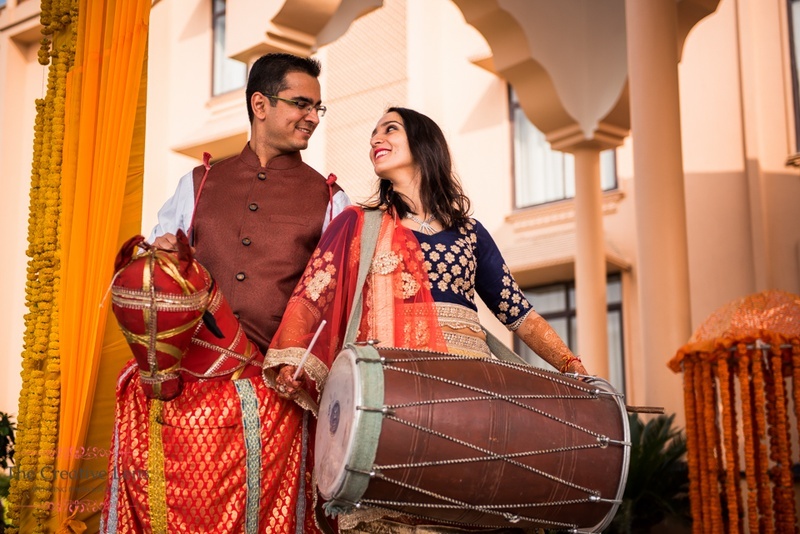 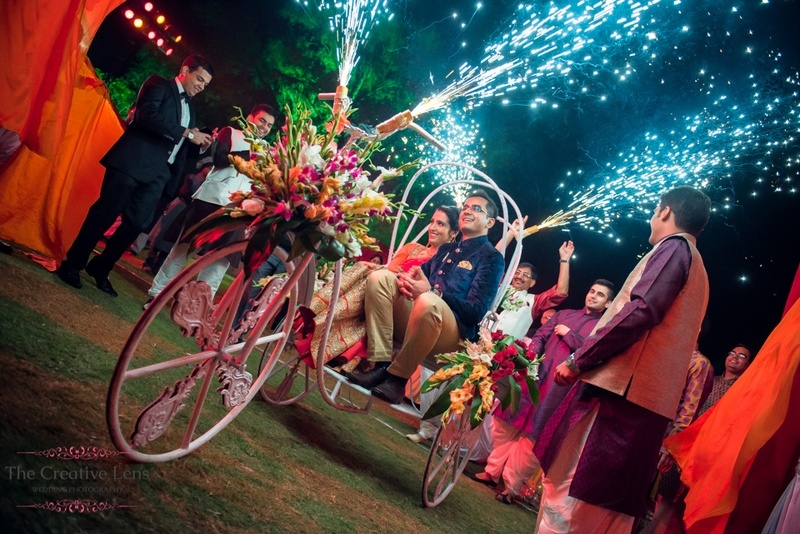 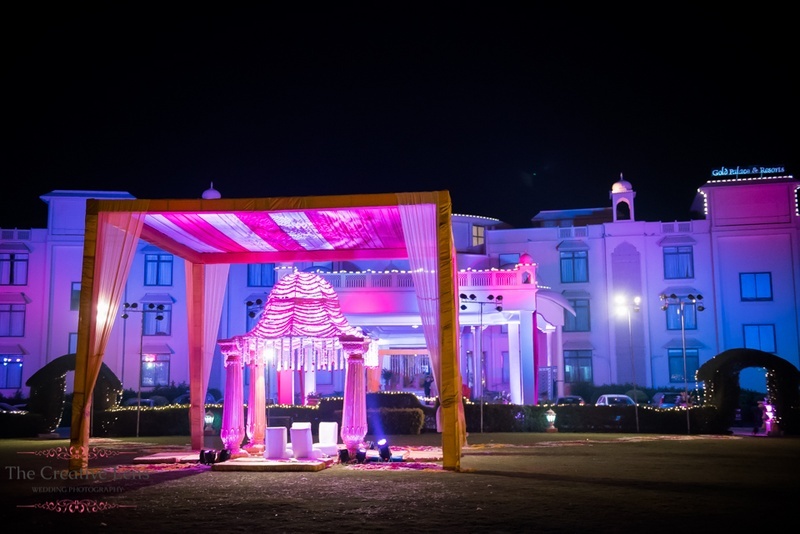 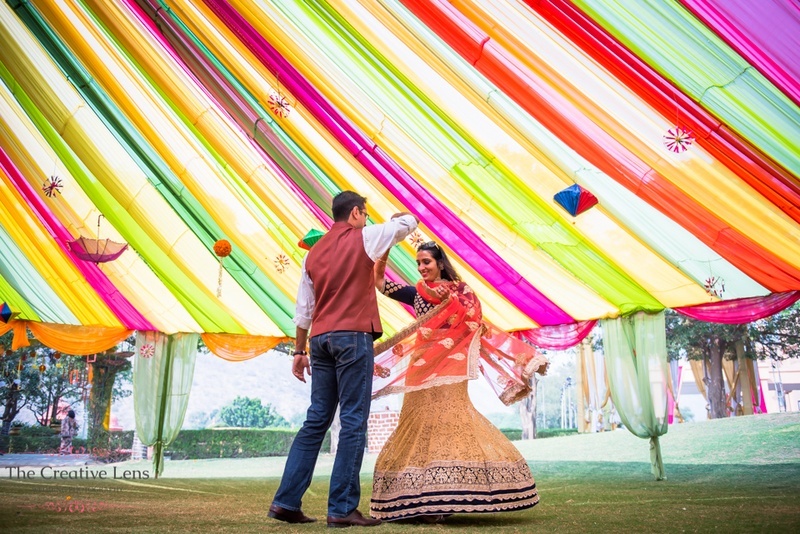 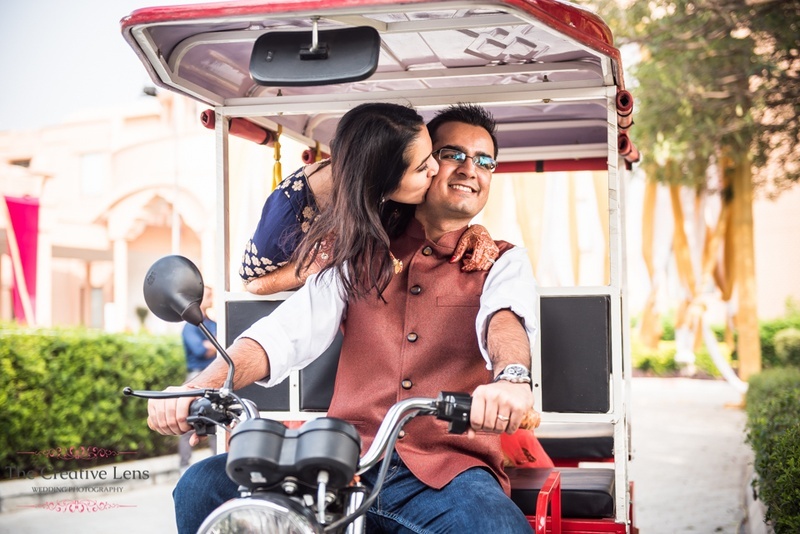 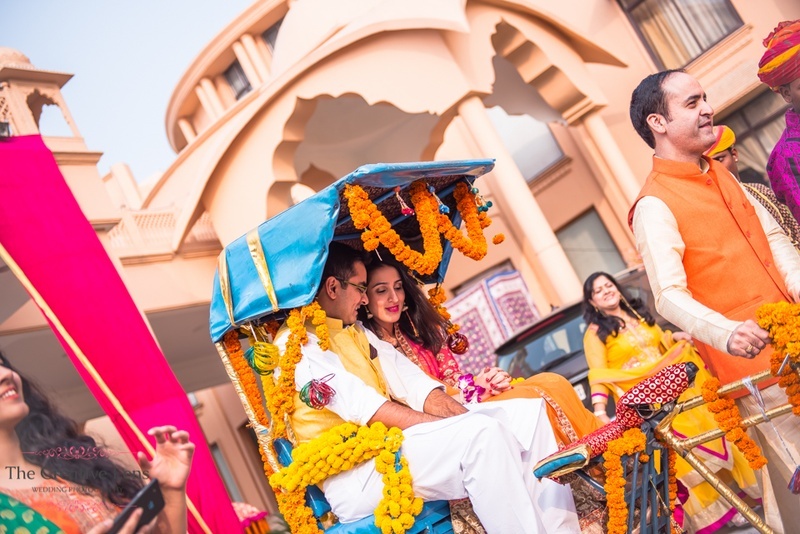 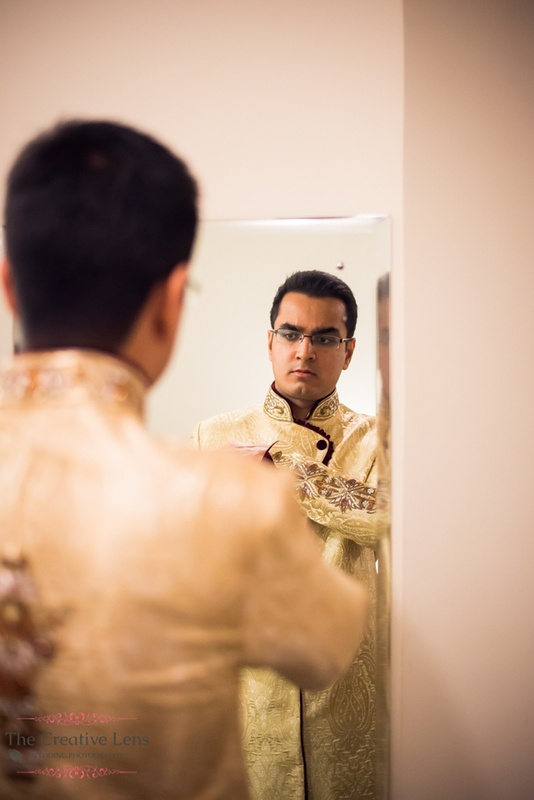 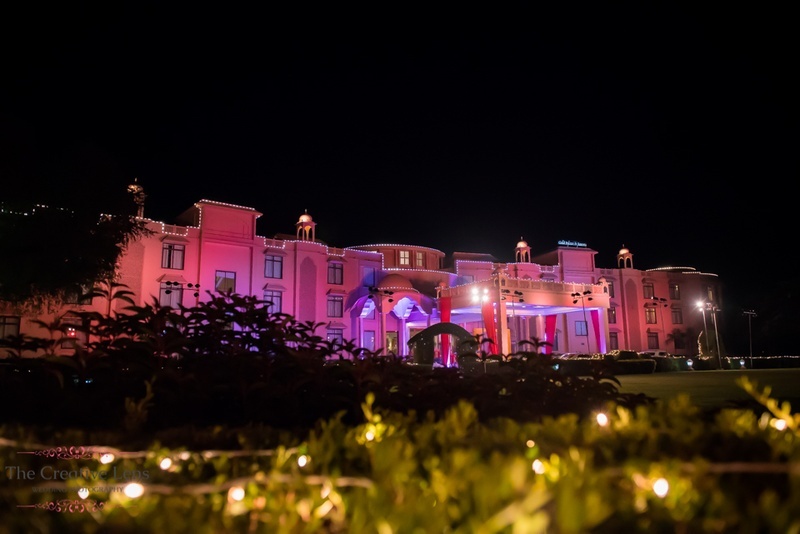 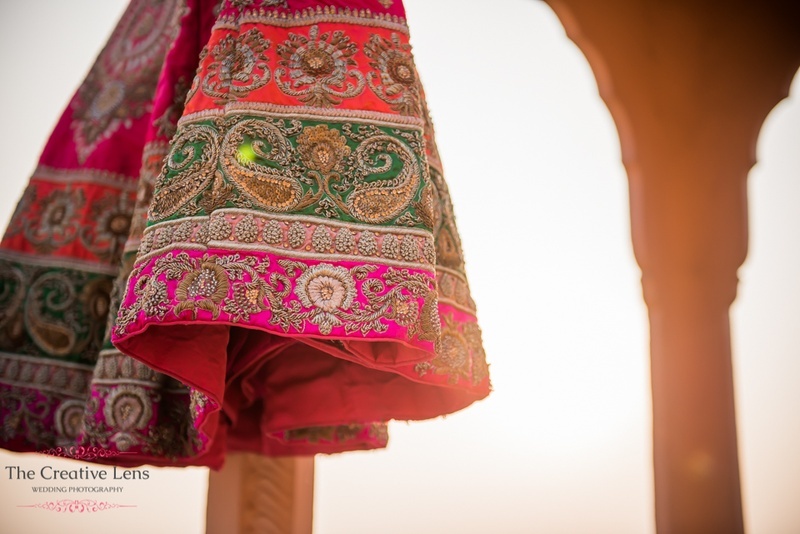 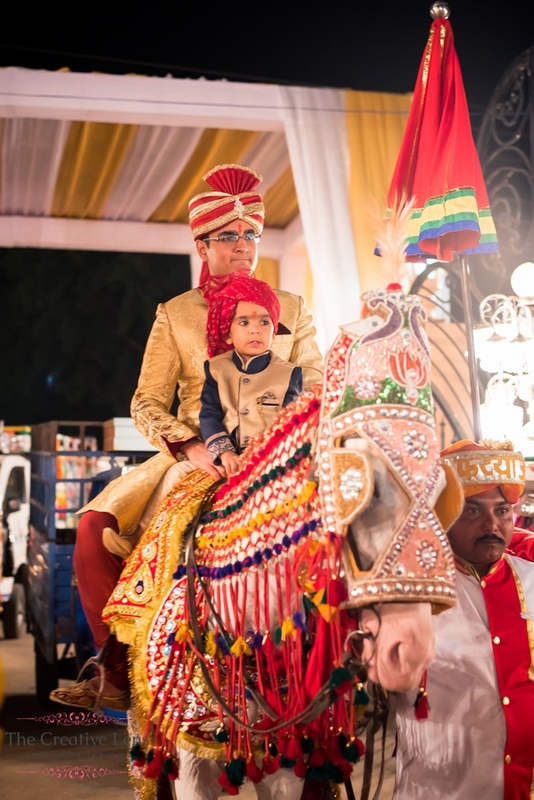 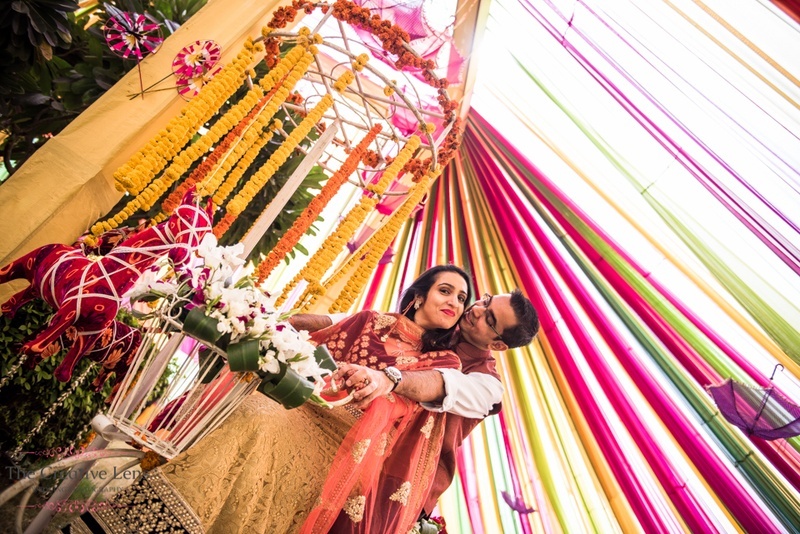 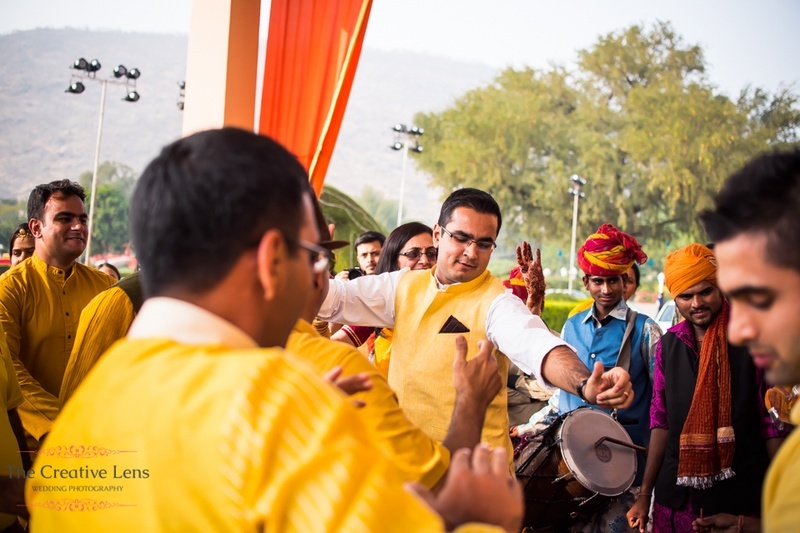 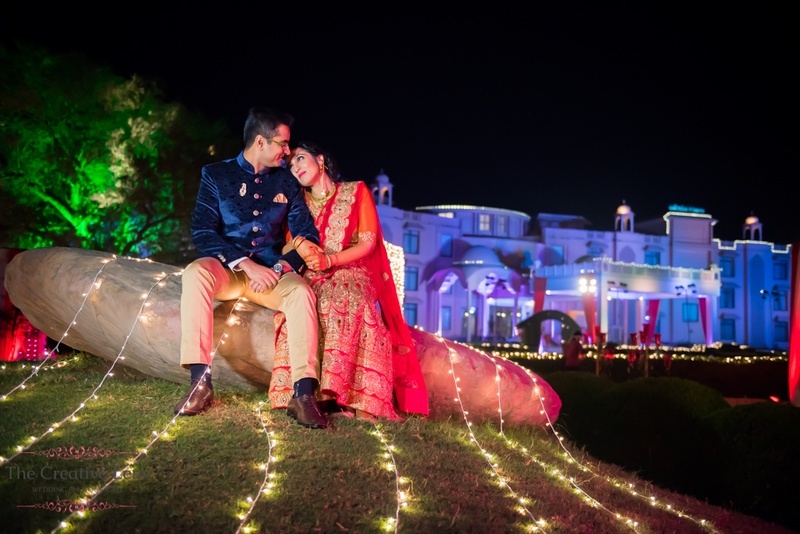 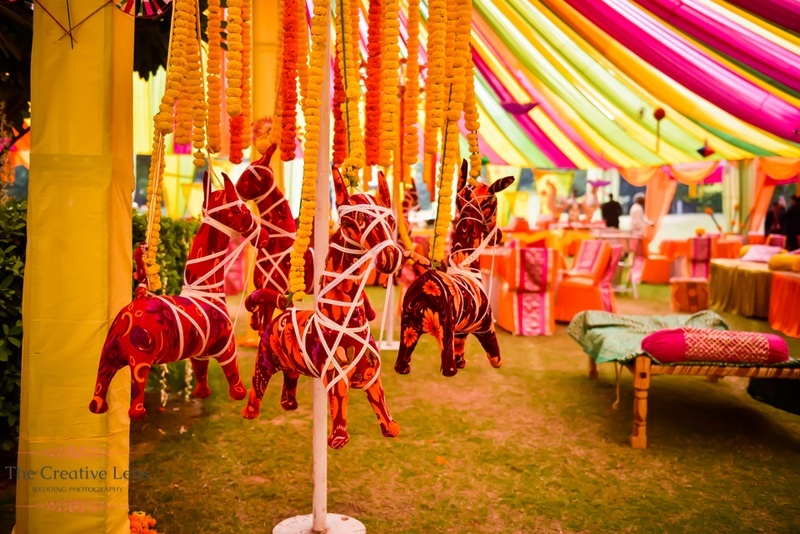 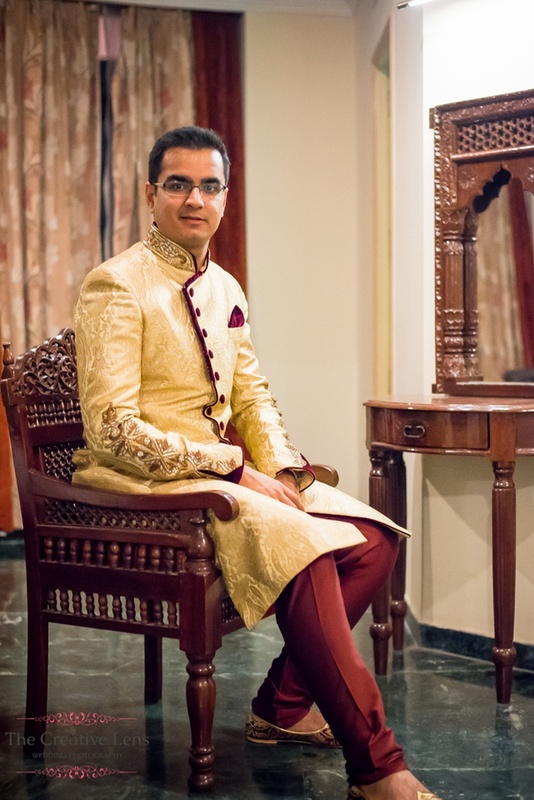 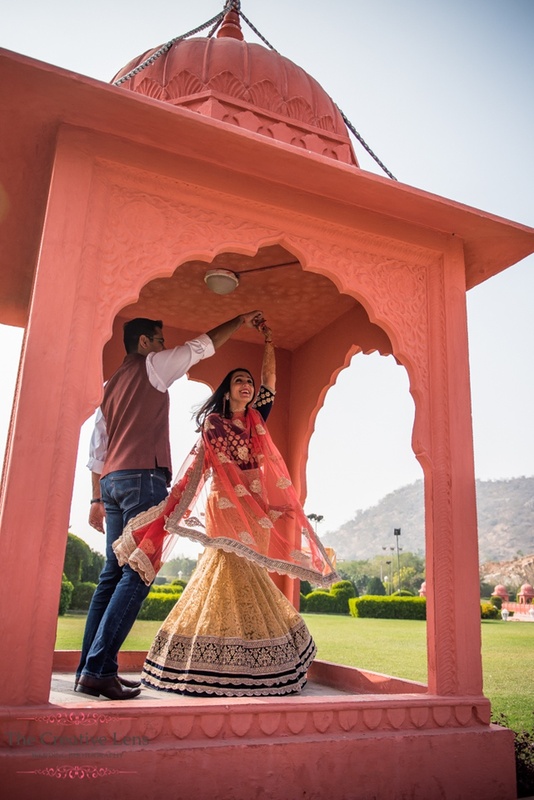 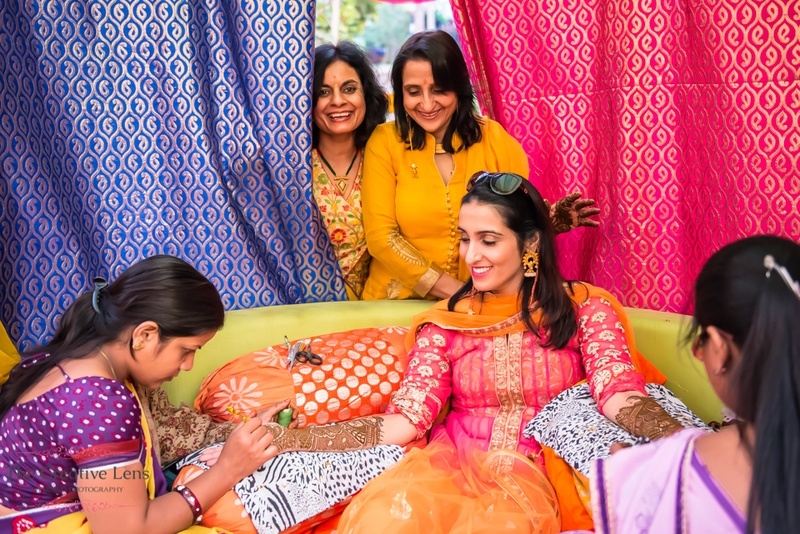 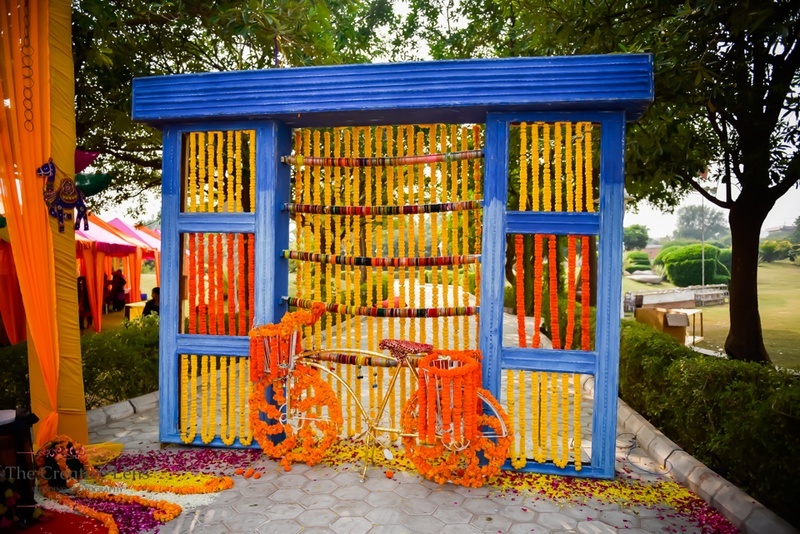 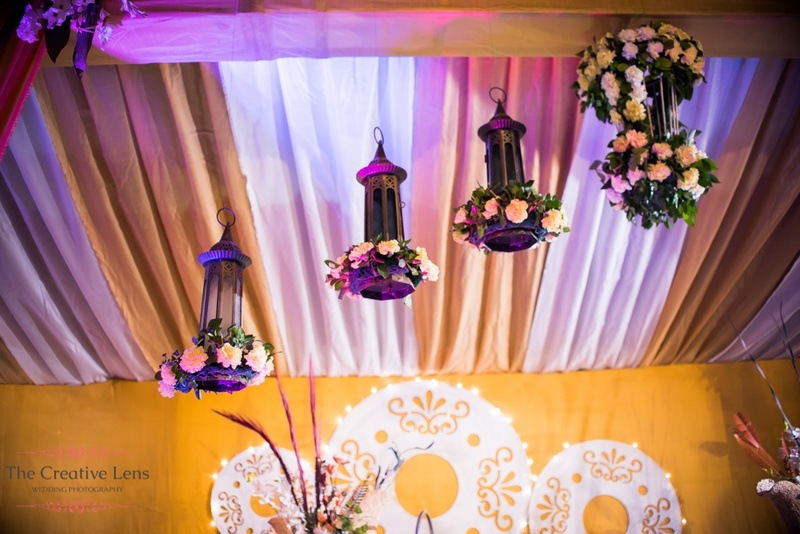 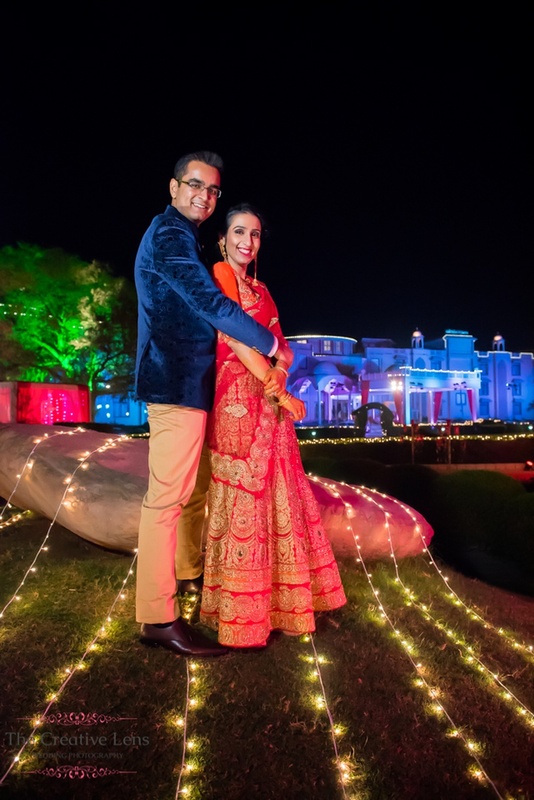 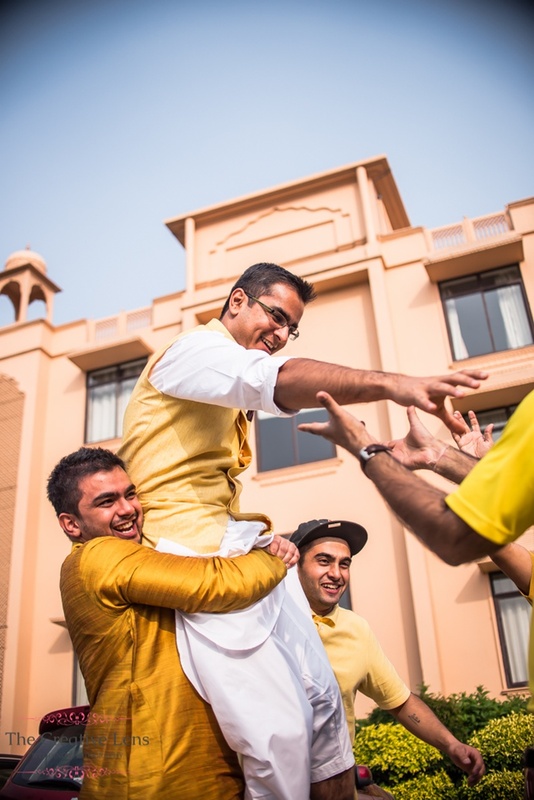 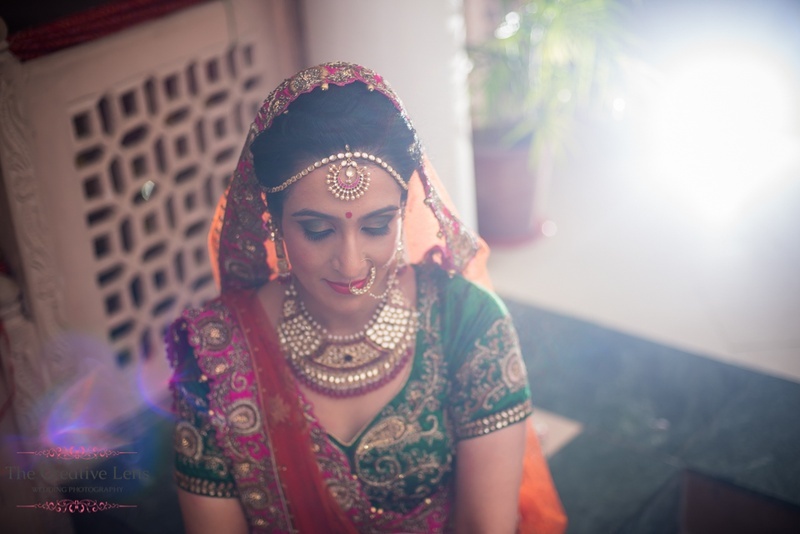 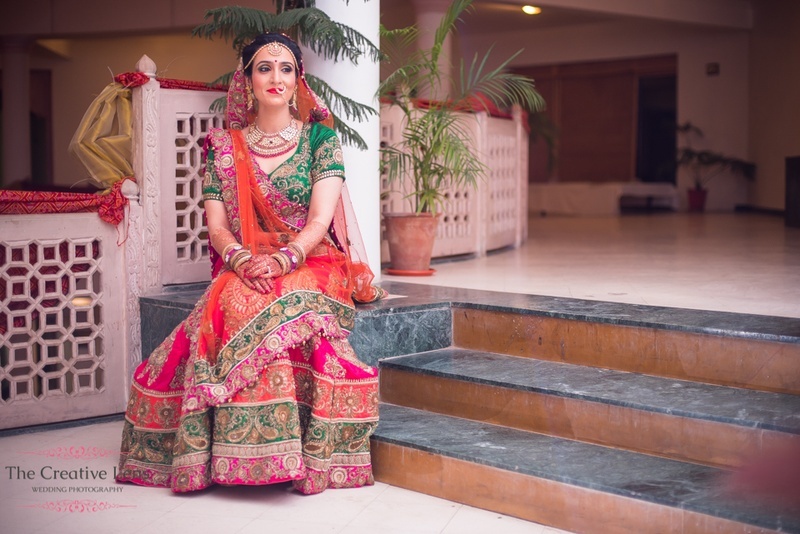 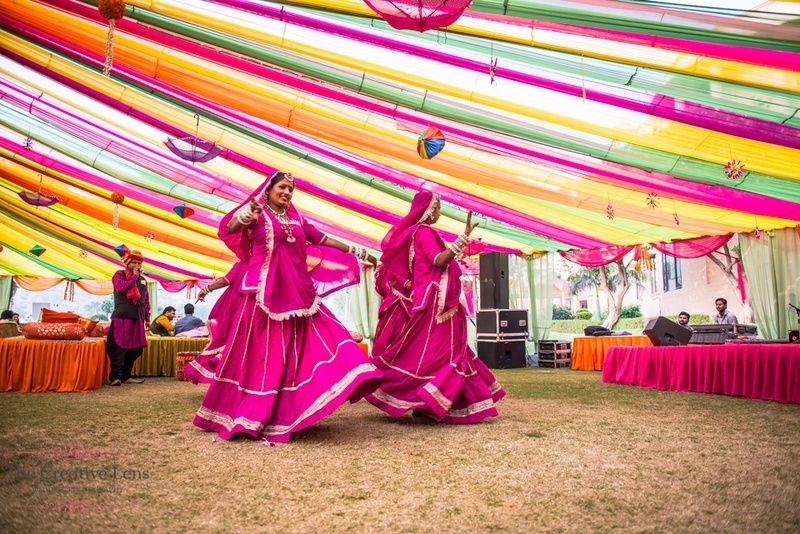 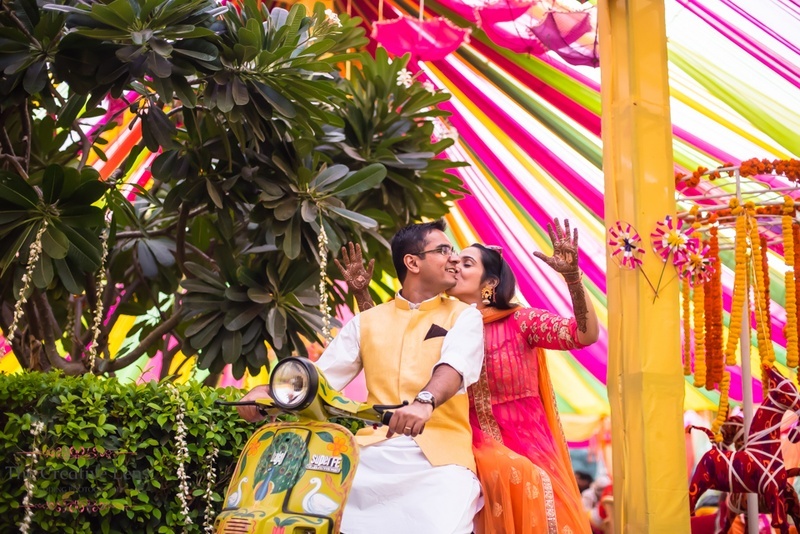 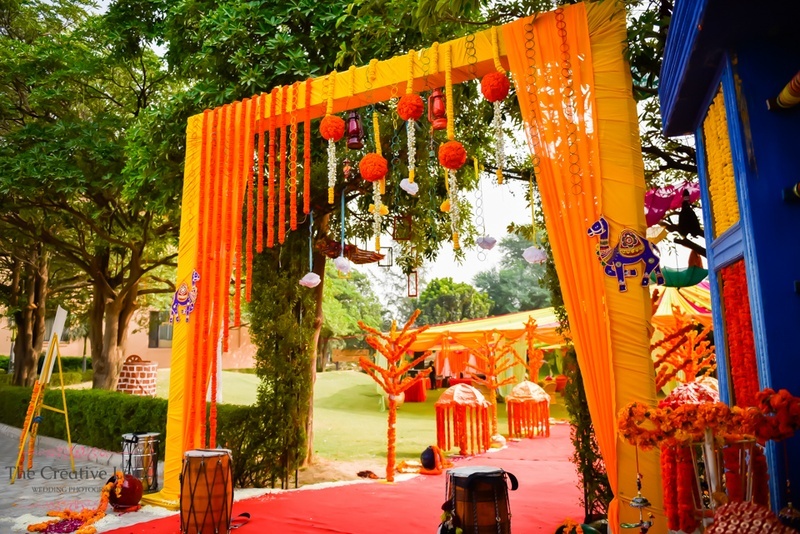 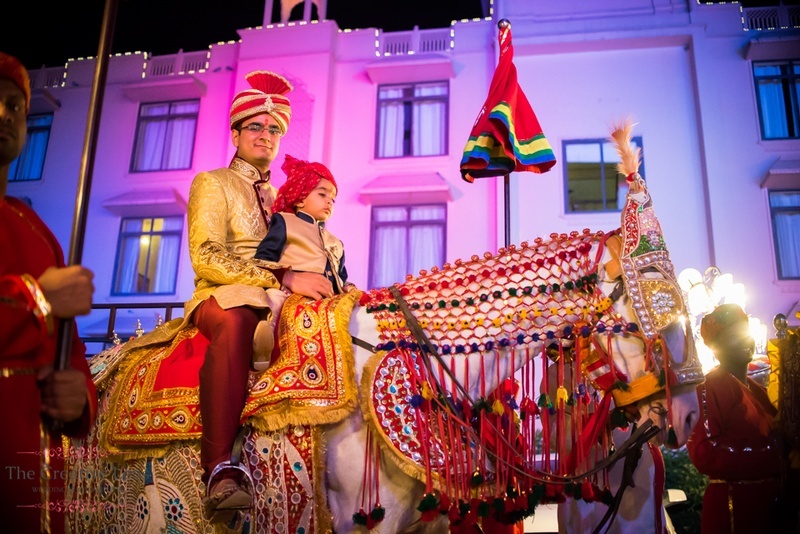 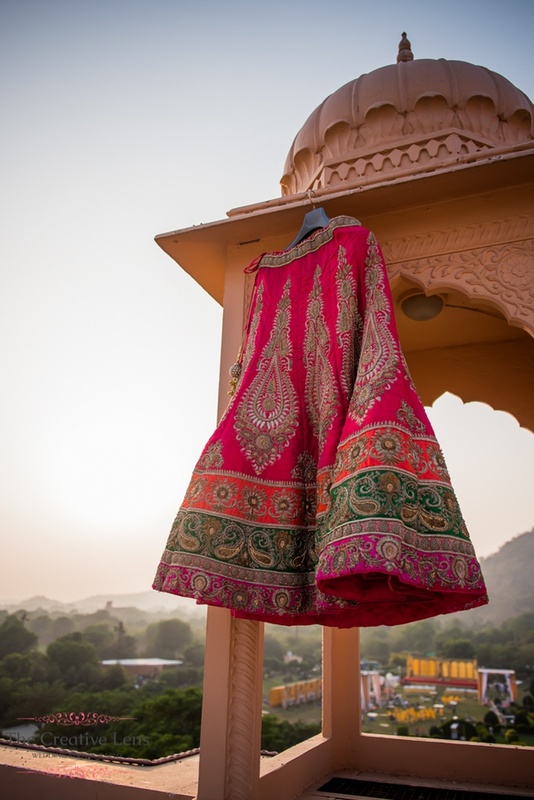 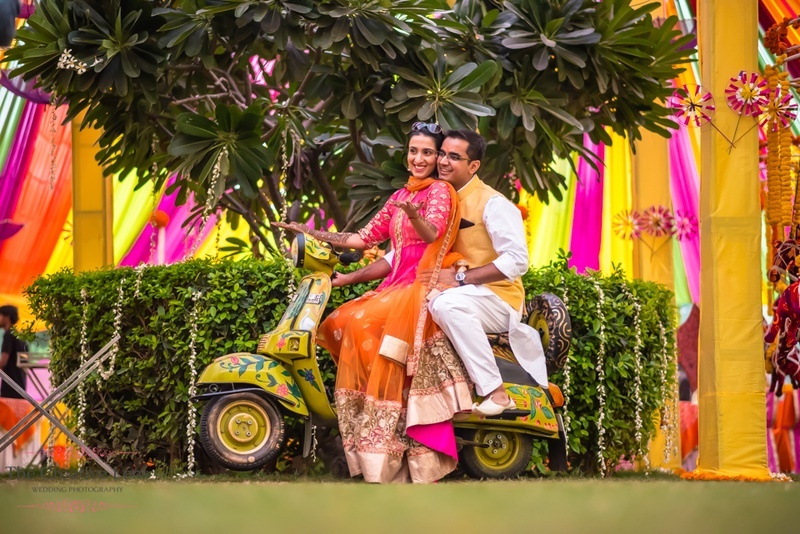 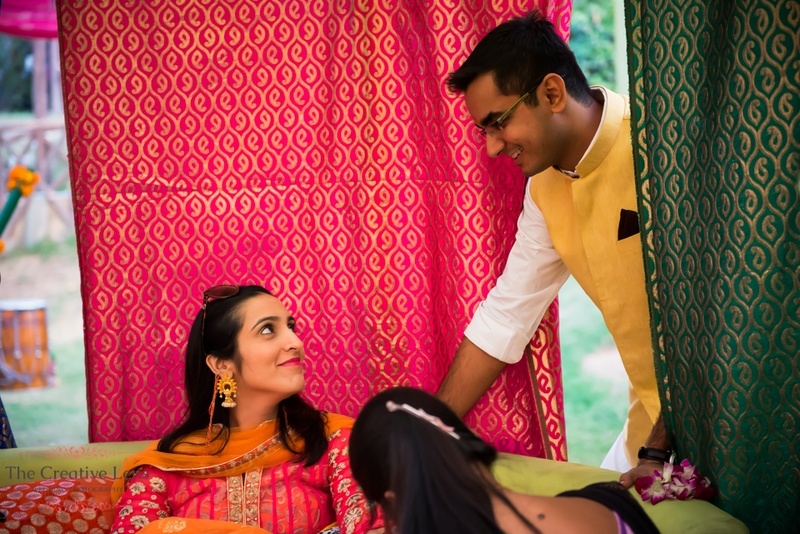 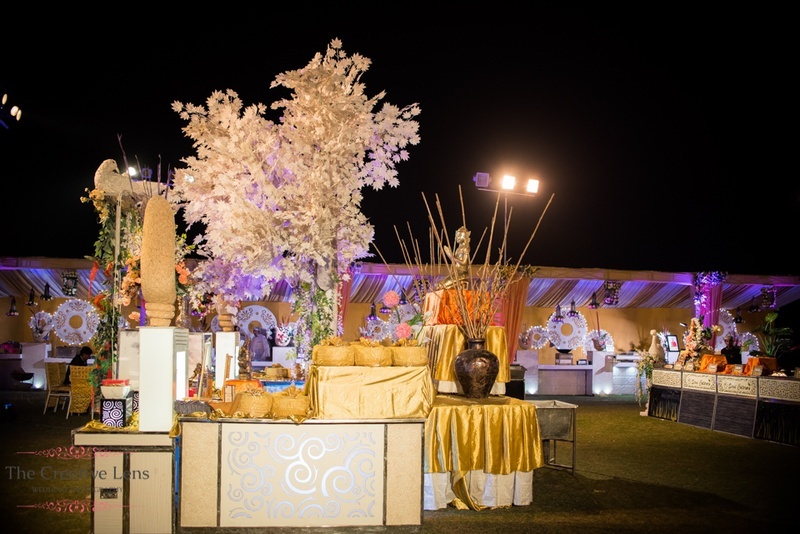 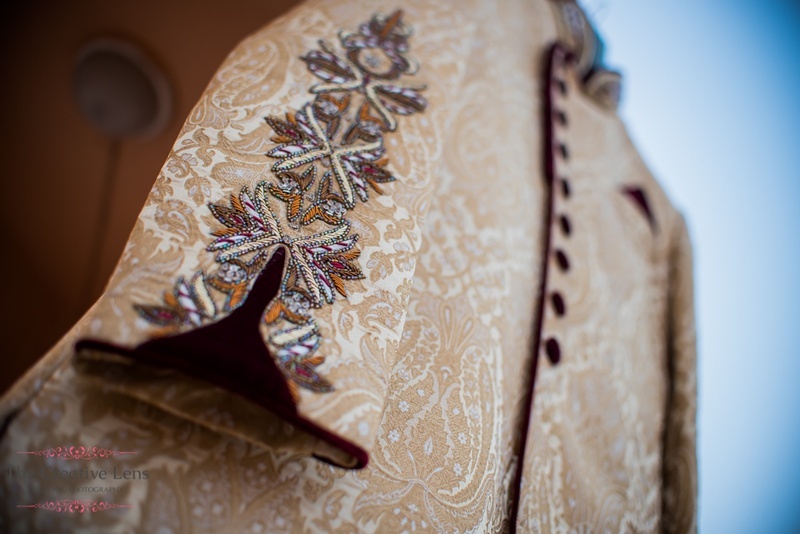 This vibrant Jaipur wedding kick-started with a lovely pre-wedding shoot with fun Desi props and traditional outfits. 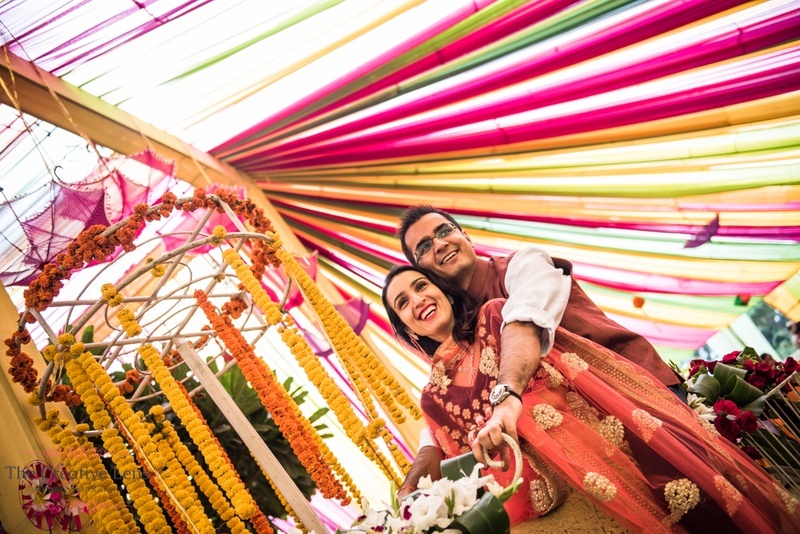 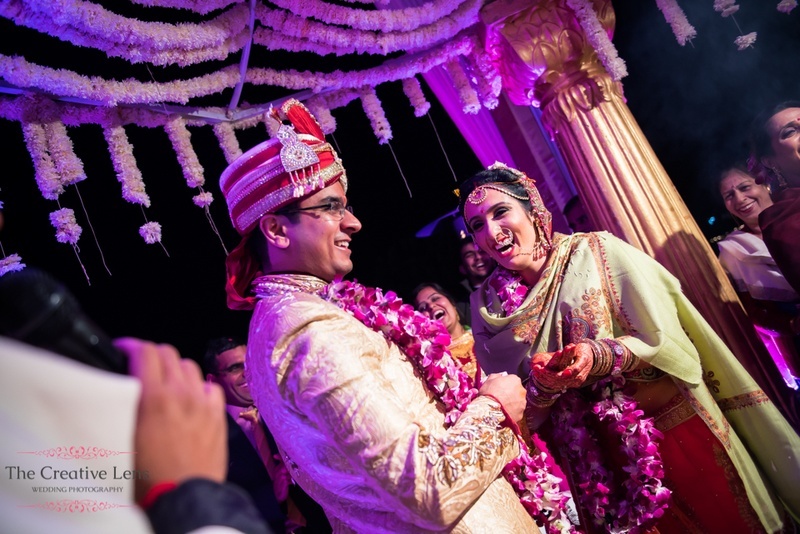 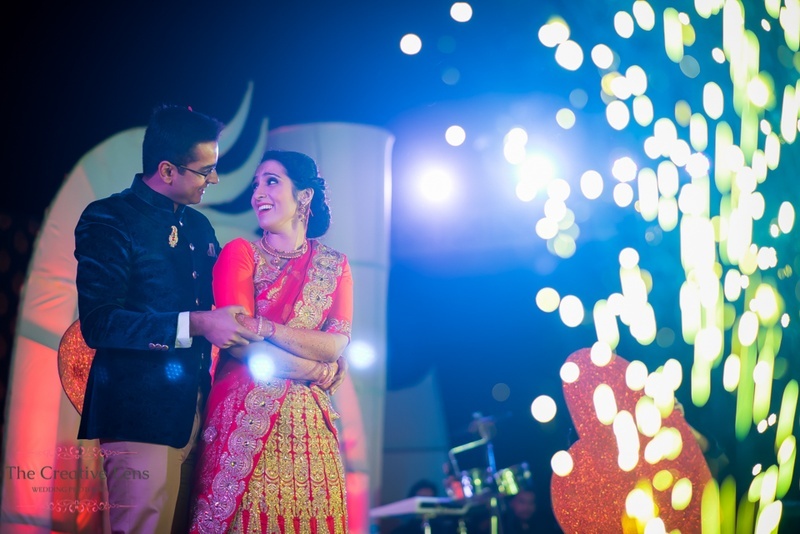 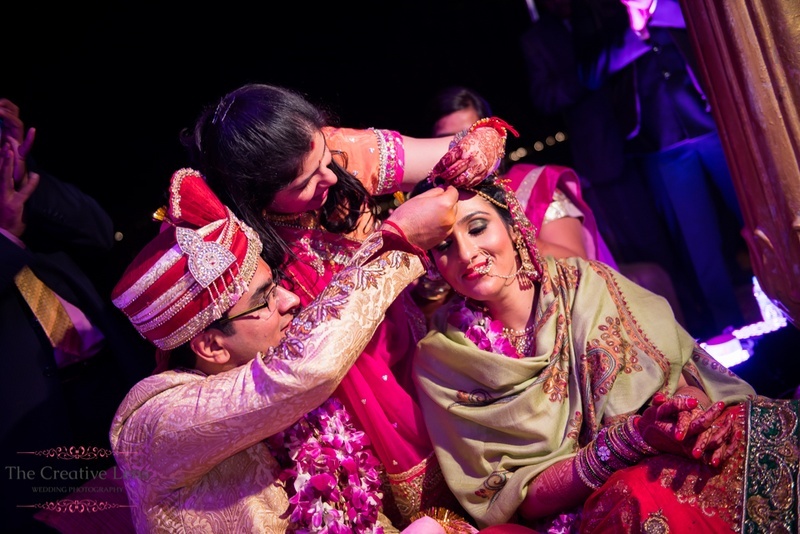 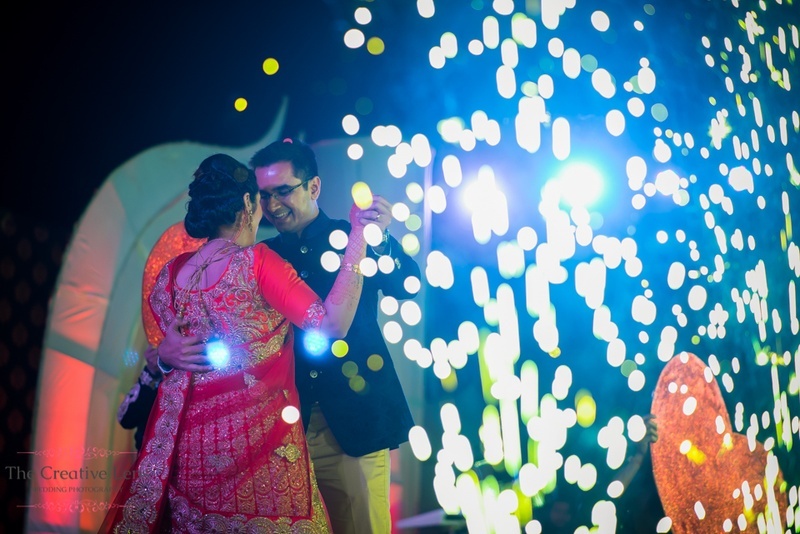 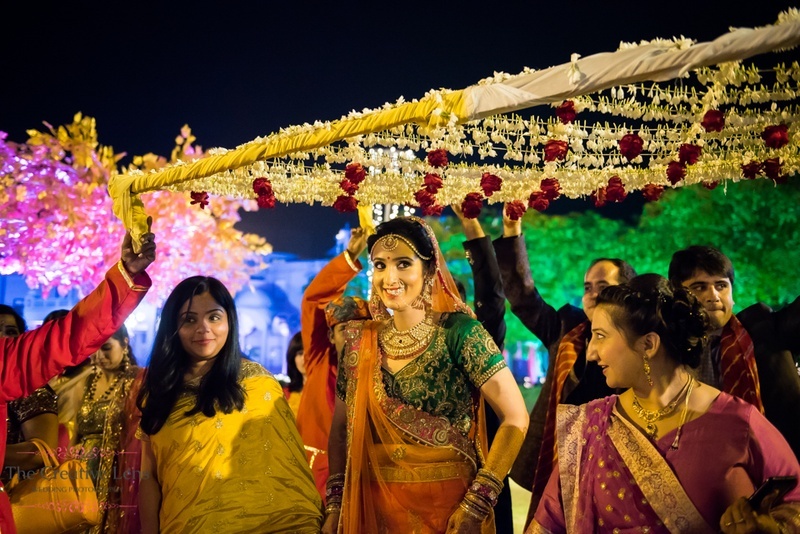 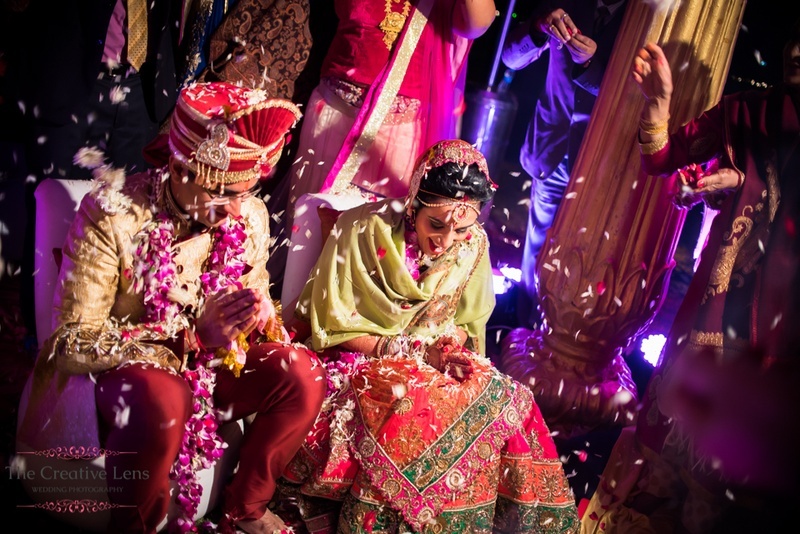 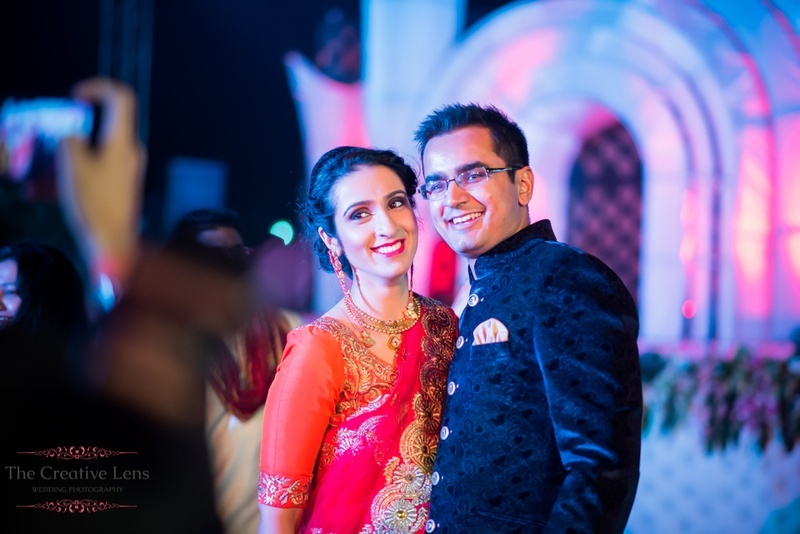 Ankita was captured beautifully by The Creative Lens twirling, laughing and simply enjoying the presence of her groom, while Shreyas looked no less pleased with his beautiful bride. 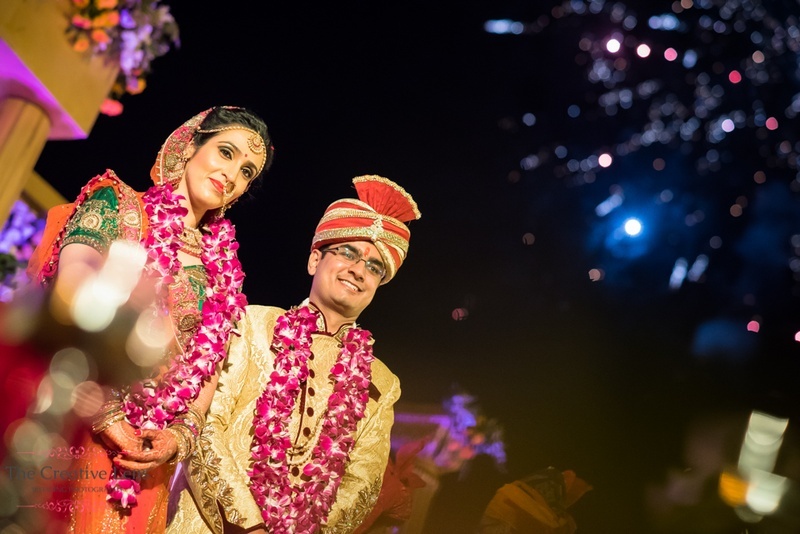 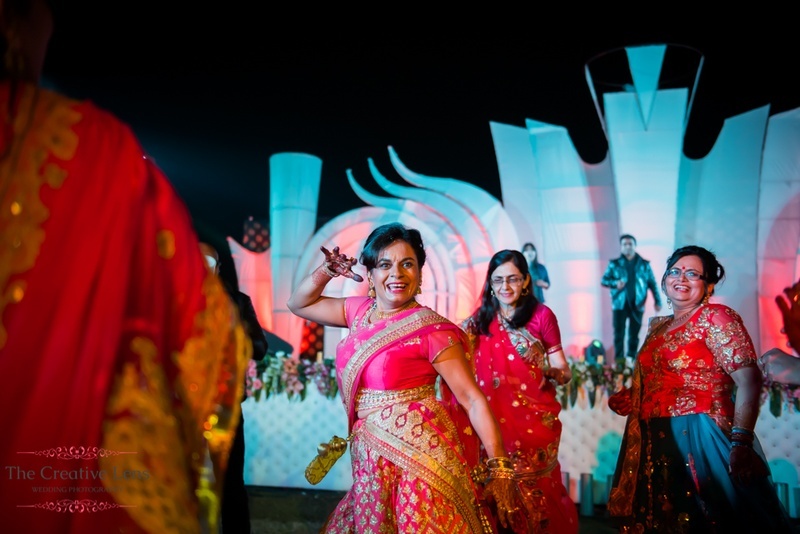 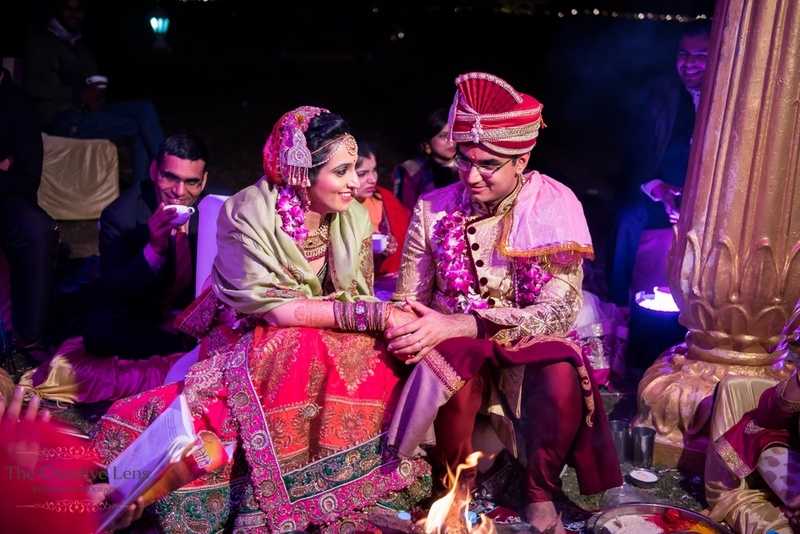 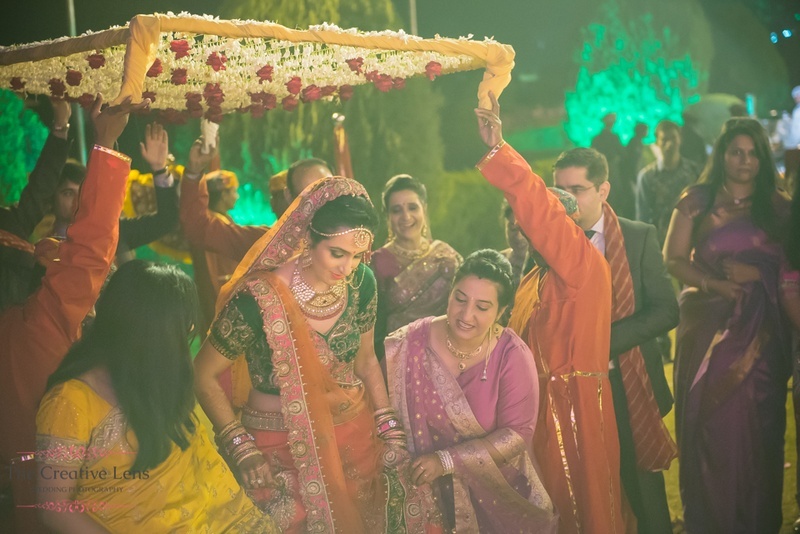 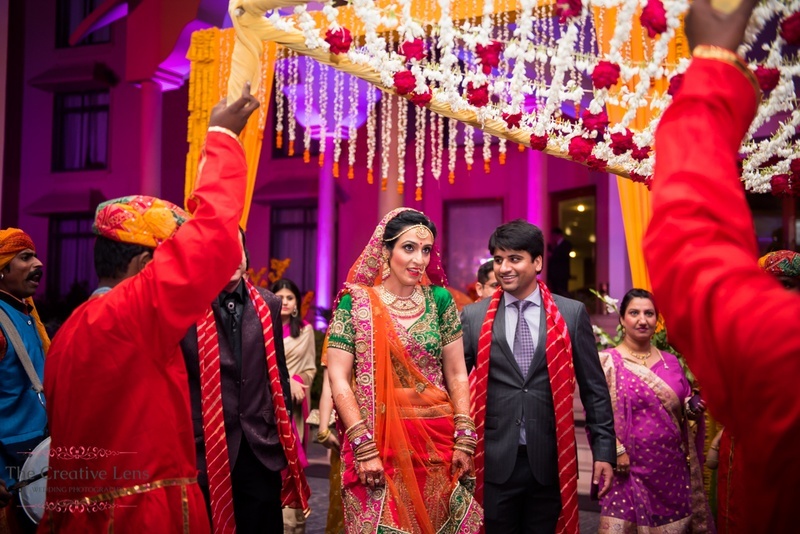 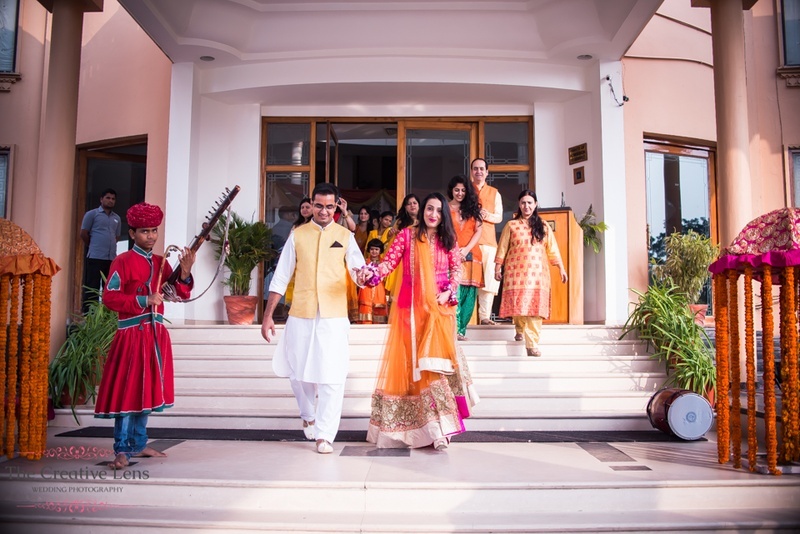 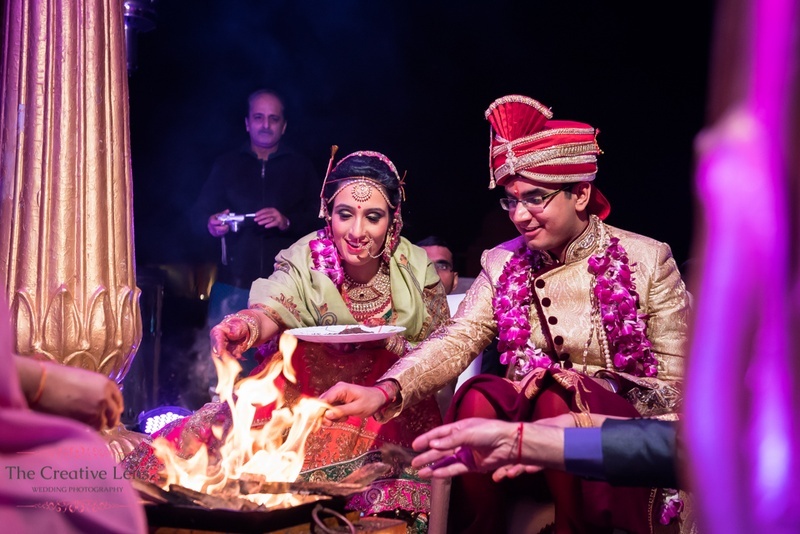 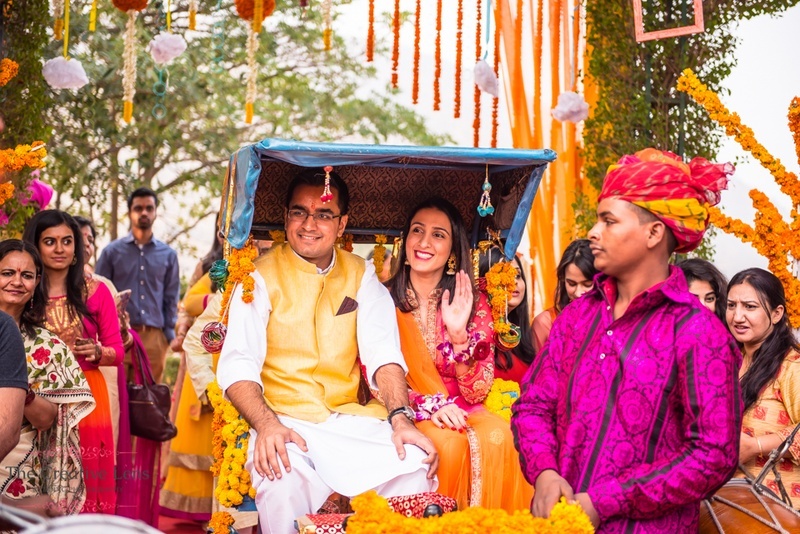 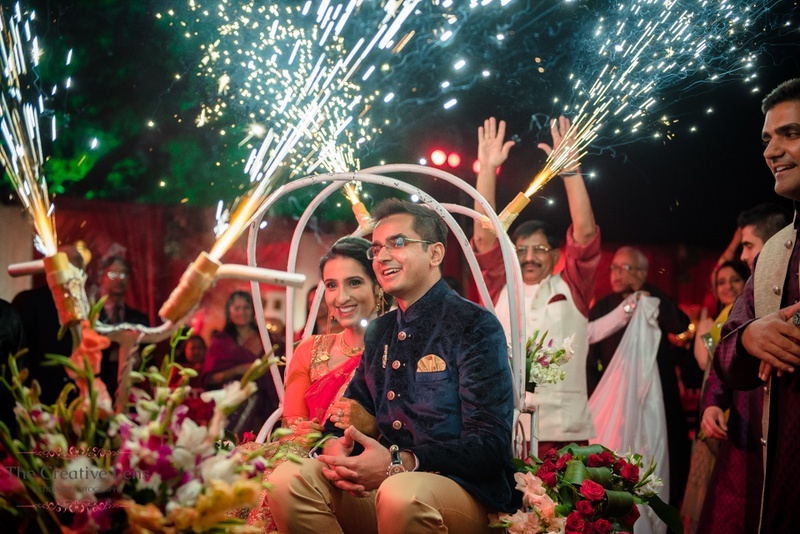 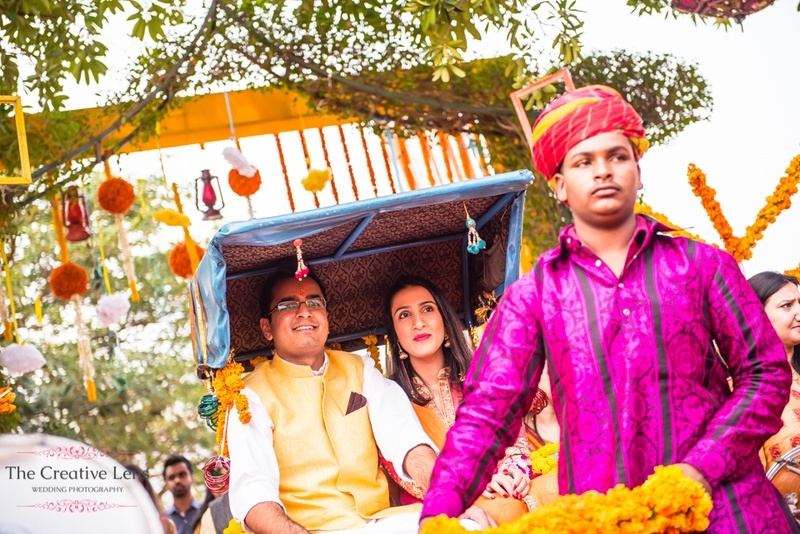 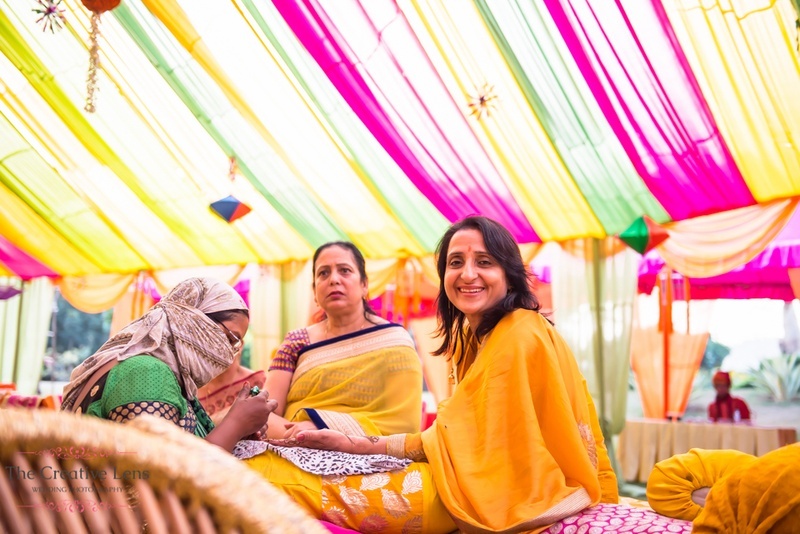 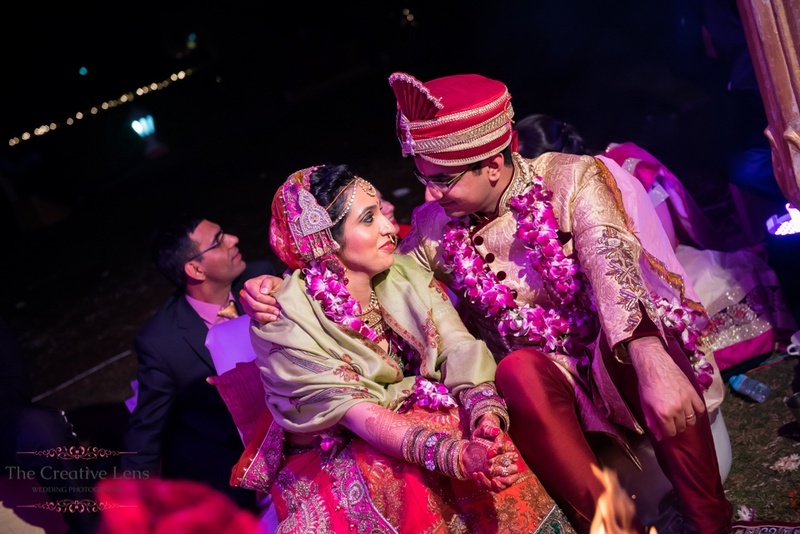 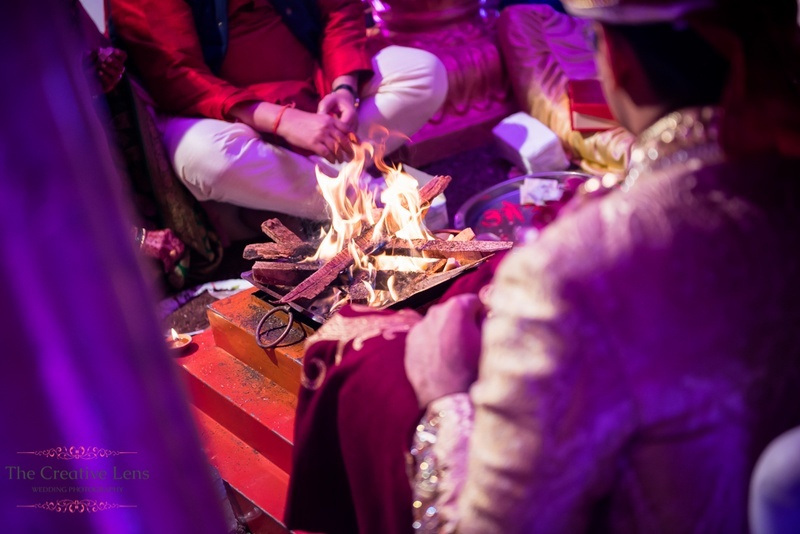 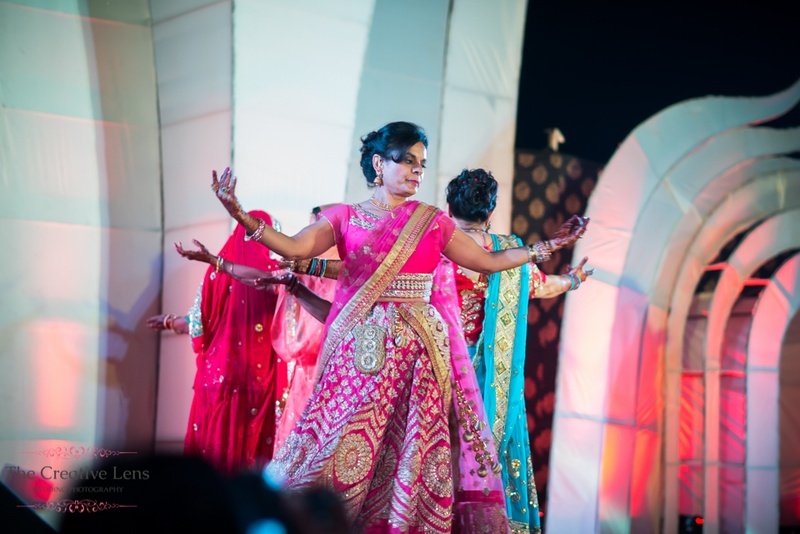 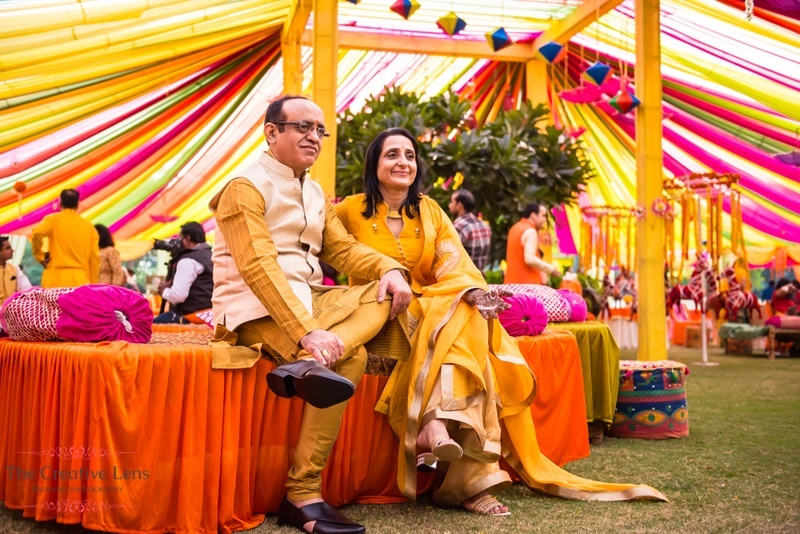 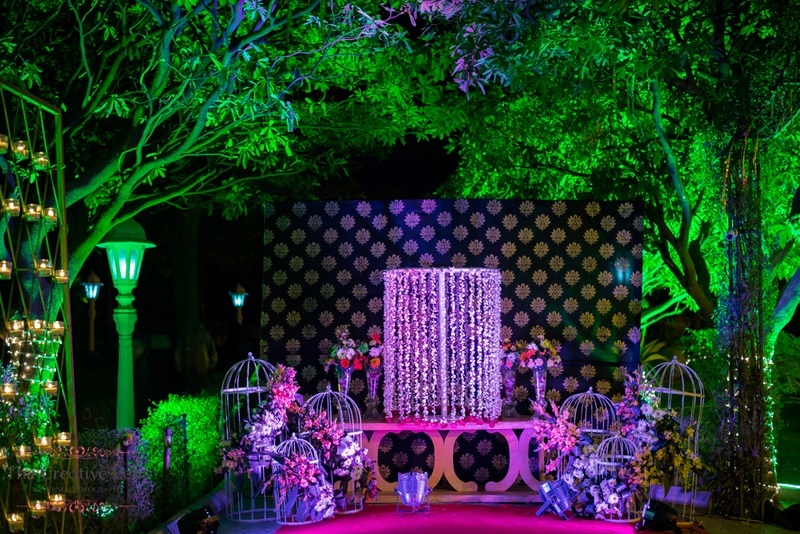 What proceeded was a fun-filled, equally colourful Mehndi ceremony where she wore a bright pink and orange net lehenga and her better half balanced out the equation in a simple white outfit with a pastel orange Nehru-jacket. 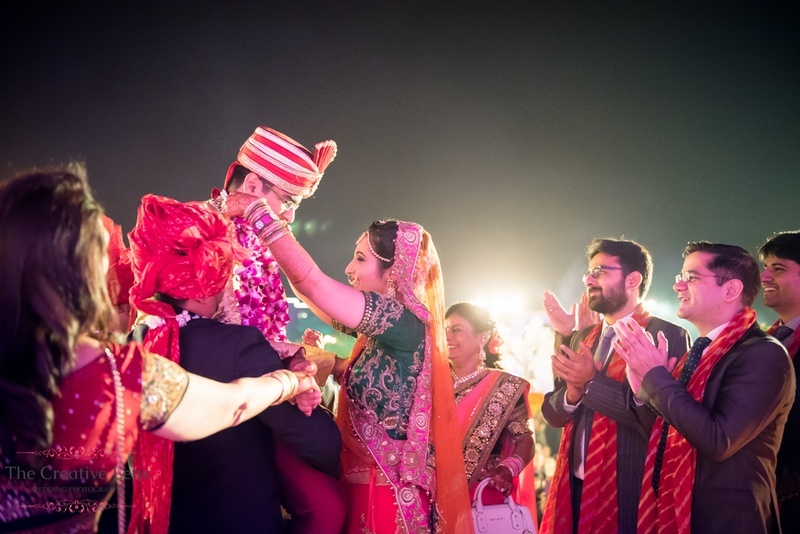 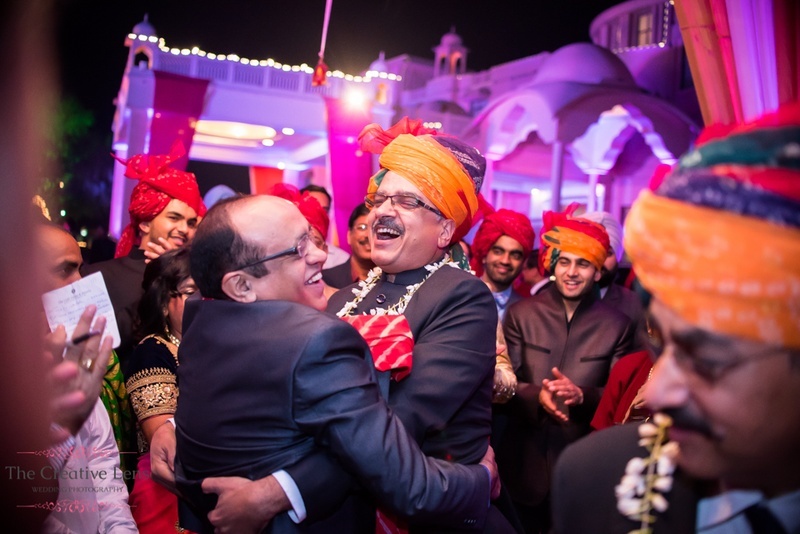 The wedding itself was no less lively, with our couple looking extremely happy and in love while everyone around them rejoiced in the festivities. 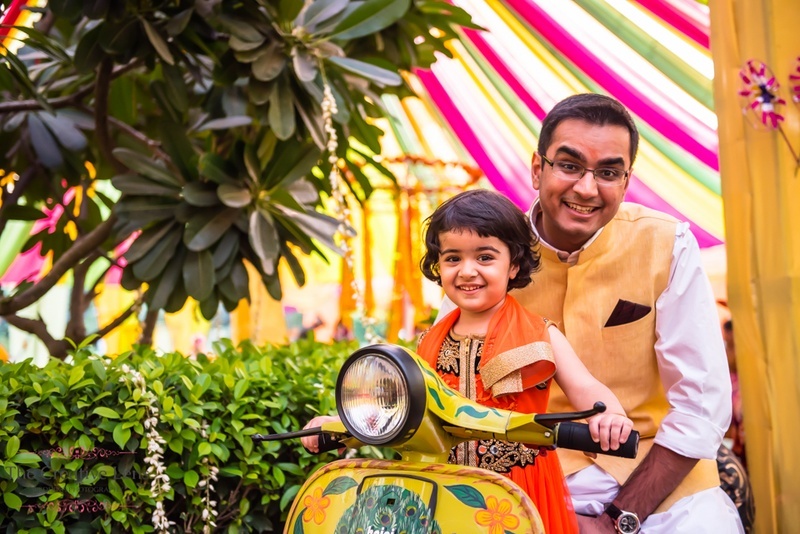 Scooter becomes the attraction of the day!